Prominent & Leading Supplier and Manufacturer from Bengaluru, we offer Party Hall Furniture such as Modern Party Hall Furniture, Modular Party Hall Furniture and Banquet Hall Furniture.These are customized as per the clients requirements and offered at highly reasonable rates. 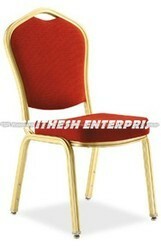 We are engaged in offering wide range of Modern Party Hall Furniture to our clients. Our furniture is available in various shapes, colors, designs as per the customized requirements of our esteemed clients. We offer these furnitures at highly reasonable rates to our clients. Looking for Party Hall Furniture ?